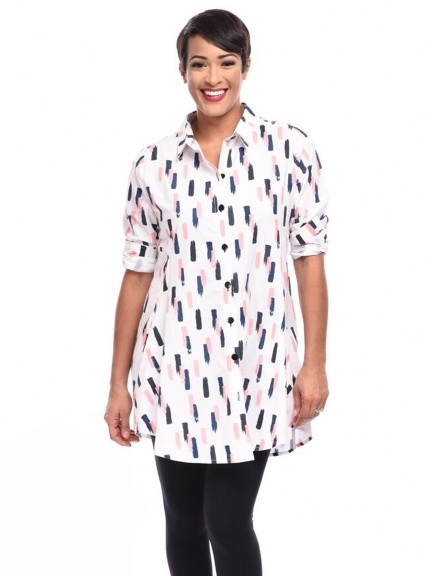 The Dinah Tunic is a crisp lightweight button down. 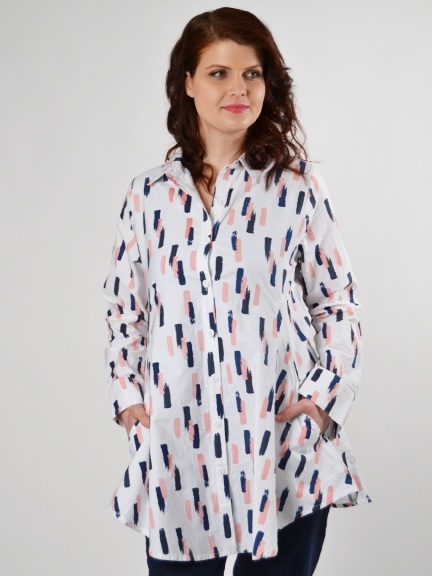 Featuring pockets, buttoned cuffs and painterly brush strokes in blush pink and navy, this tunic is versatile and ideal for layering. Made of 100% cotton.